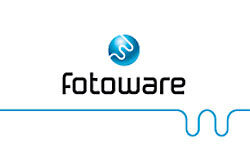 FotoWare is a Norwegian software company that has been delivering solutions for digital images since 1994. FotoWare's intention is to make archiving, administration and processing of digital media easy and powerful on standard platforms. Customers include newspapers, publishing groups, as well as other business segments with sizeable asset management challenges. FotoStation Pro, imaging workflow management, archiving and color management. FotoStation Pro has been designed for people who work professionally with digital assets. FotoStation Pro offers powerful workgroup collaboration tools and adapts to even the most complex workflow requirements. FotoWeb automatically publishes images, video, sound graphics and documents on the Web. Color Factory, advanced color management. Color Factory sets up channels, just like production lines to do scanner correction with ICC profiles, CMYK conversion for proofs and printing, archive management and more. FotoWare Portal Server, centralized publishing and sales. FotoWare Portal Server is a solution for centralized publishing and sales of visual information. Distribution Manager, file transfer over a network or a server. Distribution Manager makes it fast and easy to communicate with any kind of local or remote server. Distribution Manager automatically transfers files using industry standard FTP. FotoStation Classic, professional archiving. FotoStation Classic is the new digital asset management tool for professionals working on Windows XP or Mac OS X. As the search engine to go with one or more of the above components, FotoWare developed Index Manager based on the dtSearch Engine. According to FotoWare's Web site, the result is "a true, full-text search with sophisticated search criteria" that "brings searching into a new dimension when it comes to speed." "Today we have stored more images in newspapers and magazines than any other company in Europe," adds Ole Christian Frenning, CEO of FotoWare. "We always tell about dtSearch, and that we are very happy with the support and the stability we experience with you." For more information on the FotoWare digital asset product line, including excellent product reviews, and a list of resellers from around the world, please visit FotoWare online at www.fotoware.com, or email sales@fotoware.com .